A lot of tech companies are working on AR glasses right now. The early days, it feels like everyone’s trying to justify why AR glasses should be a thing. For some companies, that may mean making sports goggles, and for others, it may mean making AR glasses for entertainment purposes. For Toshiba, it means putting a PC on your face. 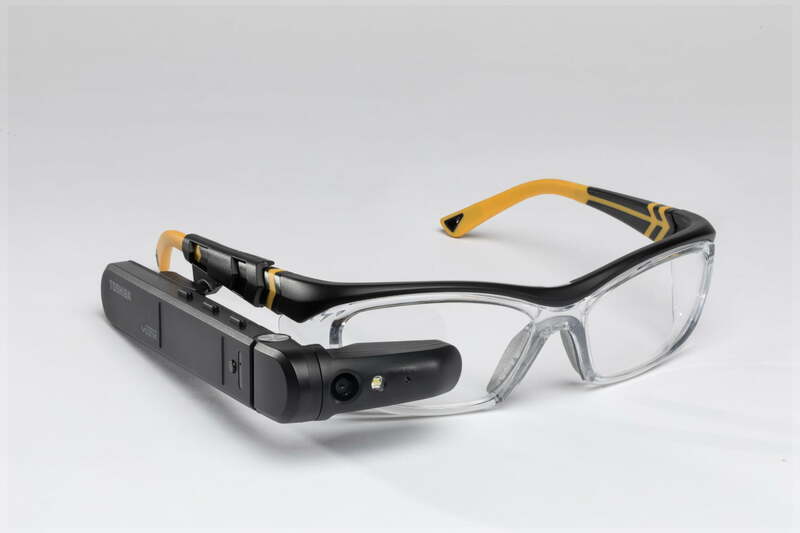 These are Toshiba’s new DynaEdge AR Smart Glasses. A new head-mounted display tethered to a PC pocket pack. Toshiba says it considers it more “Assisted Reality” than Augmented. The glasses part in this is a single display arm that can be attached to different form factors. All of the processing power happened on Toshiba’s DynaEdge Mini PC that is connected to the display arm via USB-C. The DynaEdge Mobile mini PC was launched in August last year. So, that part isn’t new. This PC ran on Windows 10 platform and had an Intel Core M processor with 6GB of RAM and 512GB of internal storage. The Mini PC is supposed to run at least six hours on a single charge. This Mobile PC also has a cluster of five physical buttons by which you can control it. Instead of using those old style buttons, you can use a touch-sensitive swipe pad or voice control on the head-mounted display arm. 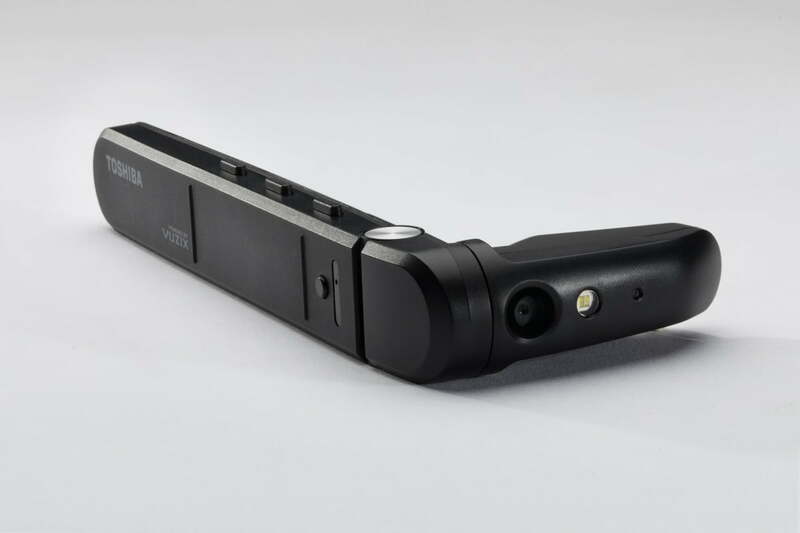 The arm has various sensors like proximity sensor, ambient light sensor, LED lights, GPS, compass, gyroscope, along with 5MP Camera, Speaker and dual noise-canceling Microphones and of course a 640×360 quarter-inch-sized display. Toshiba is mainly positioning this headset to industrial users. They can wear it when they need to pull up equipment schematics, or they need to perform video calls, view PDF documents, etc. The camera on this isn’t that great, but it’s bright enough to let people see exactly what you are seeing. This AR100 head mounted display starts at $1900 for the glasses and DynaEdge system with a Core M processor. You can also upgrade to faster processors. The headset isn’t something that’s meant for consumers. But it’s a glimpse at how wearable gadgets could change the lives of professional users. Wear OS by Google – rebranded Android Wear OS.